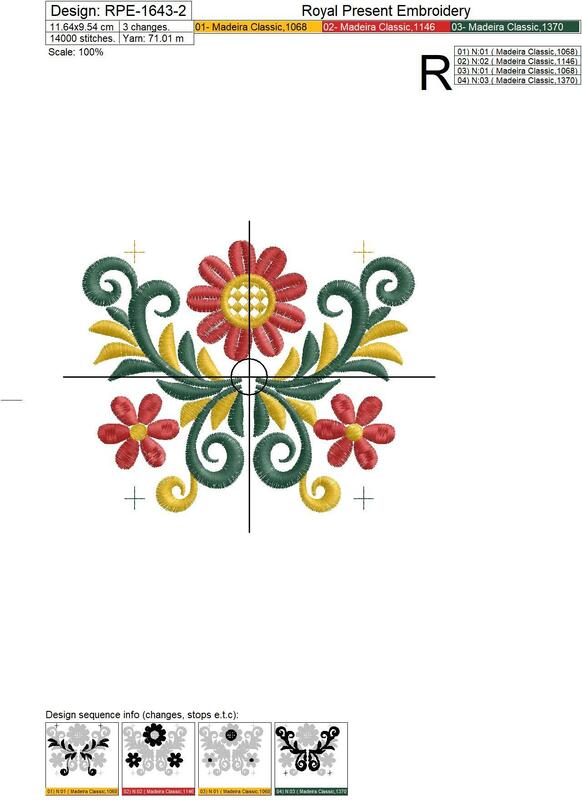 Russian Khokhloma border Machine Embroidery Design is better to embroider on a black background. Also, it looks just as impressive on a white background. Let fairytale charm of this embroidery design whisk your imagination away and with household textiles. 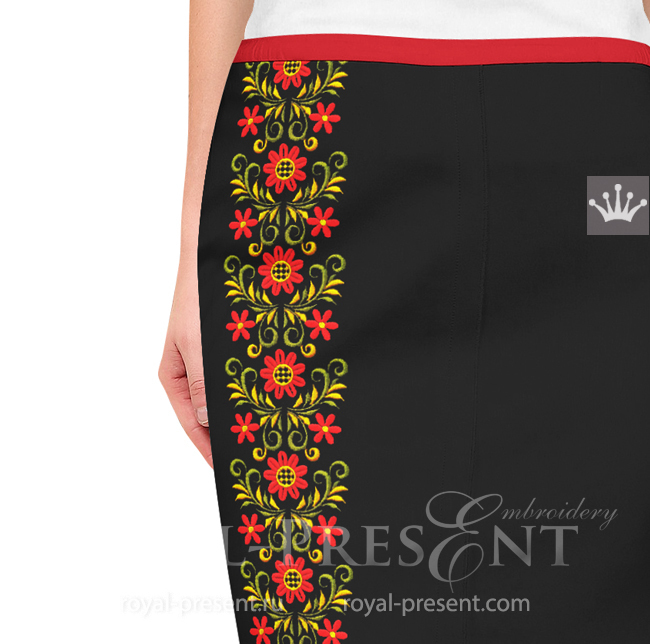 Decorative or functional, everyday or special occasion only – machine embroidery design Khokhloma style will go great with all of them. Got bored with recently competed design of your rooms? Willing to upgrade it but don’t want to spend too much? Act smart and change only few accents in the room. A decorated throw pillow is always a good and versatile choice for the case. 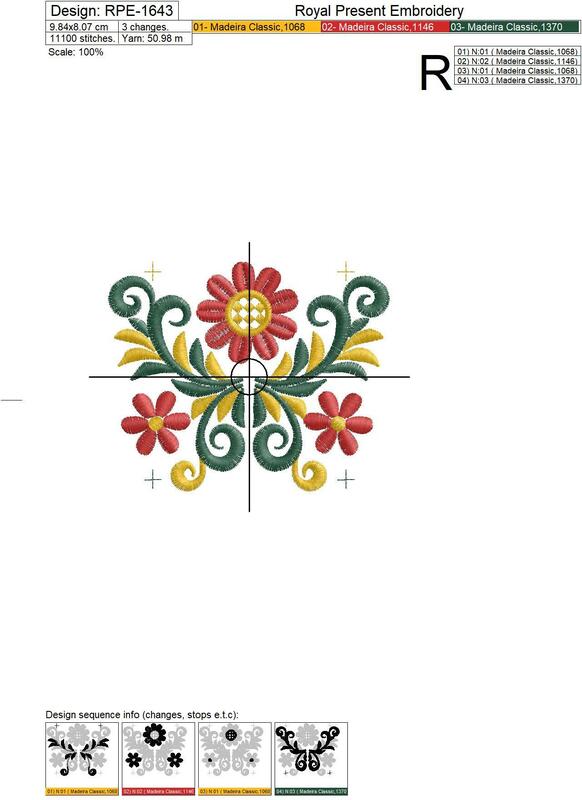 Our Russian Khokhloma border Machine Embroidery Design, embroidered on throw pillows for beds or sofas will fuse and enrich many interior styles. Oriental or loft, classic or ethnic, bohemian or even rustic – options of styles for this magical bird is truly vast. 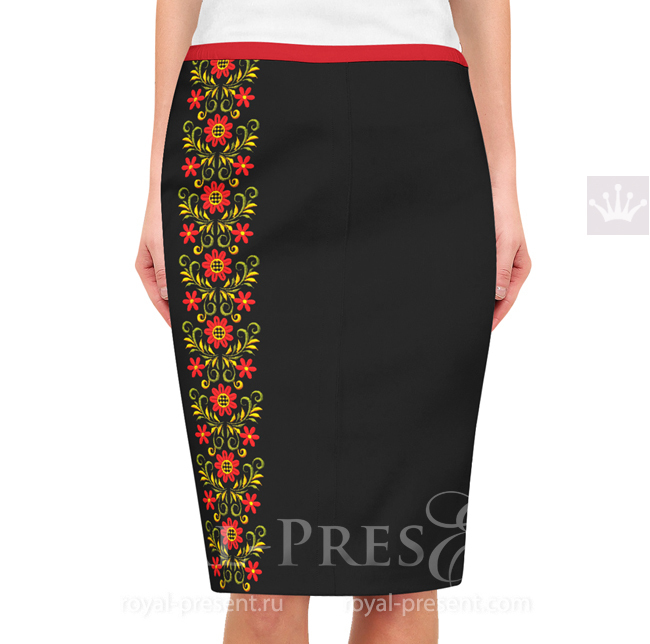 Royal Present Embroidery reserves the right to change the designs or remove them altogether from the online embroidery shop without any previous warning. Don’t forget to download the files with the designs as soon as you have purchased them. Please, make sure to choose the size and format of the file, compatible with those of your embroidery machine.